What do the names, Nemo, Neptune, Nautilus, Poseidon, Cousteau, First Sea Lord Nelson and Sea-Dweller all have in common. The sea. Hemingway loved his boat, the Pilar. I think I can say he spent about as much time on it as in his villa in Cuba, Finca Vigia. Where he wrote the amazing books Islands in the Stream and the Old Man and the Sea. But it was on the Pilar that the real life action really happened, going far out to sea to hunt Marlin and Tuna, and other big game fish. The Pilar provided the inspiration. 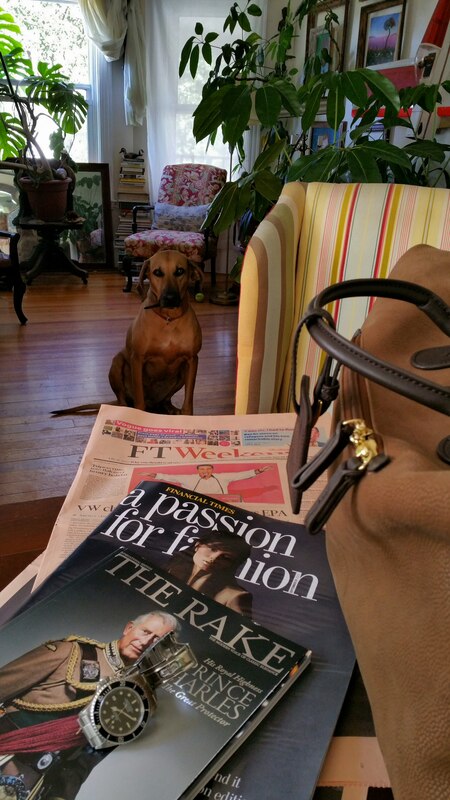 She fed his imagination deeply and generously. From the many pictures I have of Hem, it seems as if he is wearing a Rolex. But not the Rolex that he should have been wearing. Not the king of the sea. Not the Sea-Dweller. Definitely not. Unfortunately, Hem killed himself in 1961. He was just 62 years young. If only he had changed his mind and seen a better future. 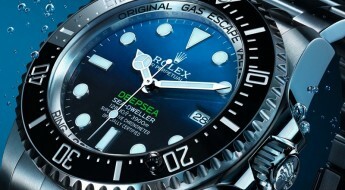 I know he would have eventually commandeered a Rolex Sea-Dweller to share his maritime adventures with. 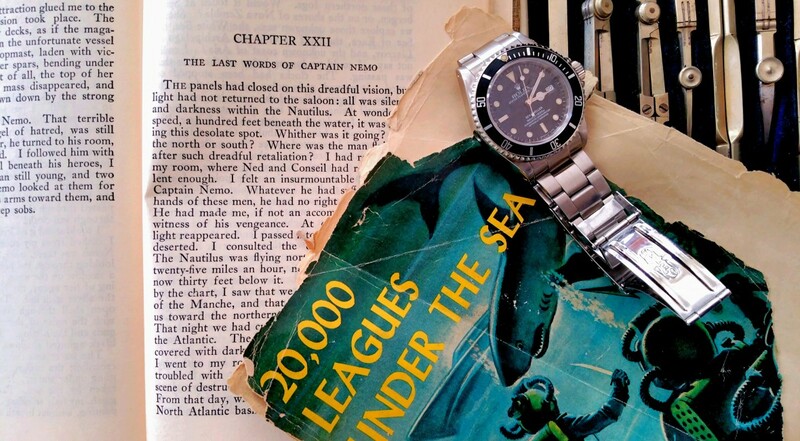 The Sea-Dweller was the sort of watch I could see Hemingway wearing….either on his boat, in his villa, at a dinner party, or at his typewriter. Enter Ian Flemming. Flemming was on point. Just too early. Much too early. 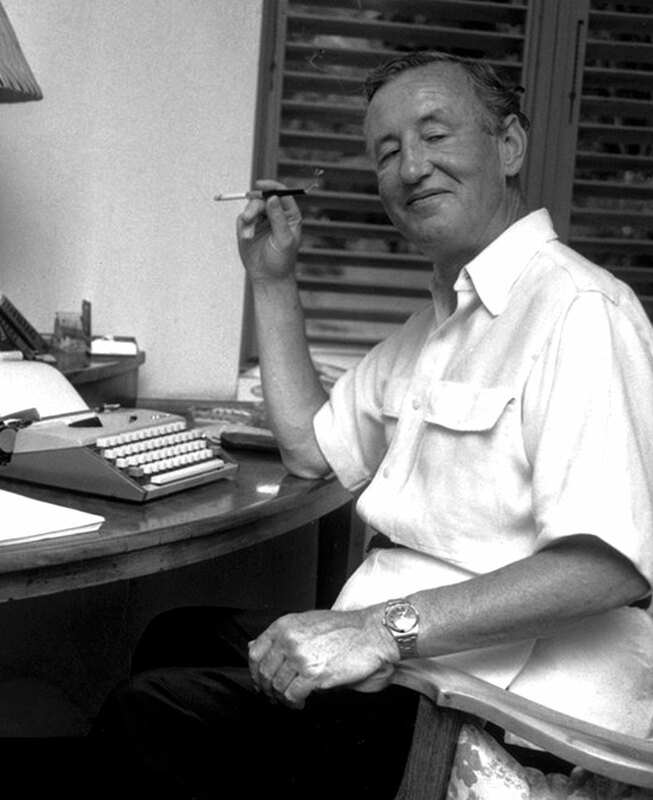 He introduced the world to Commander James Bond, Royal Navy, and spy extraordinaire for the British Secret Service in 1953, when he published the book Casino Royale. 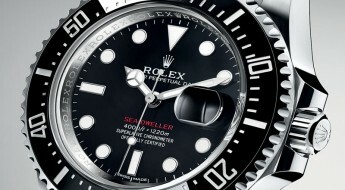 In the book, James Bond, 007 was equipped with a first edition Rolex Submariner. The ultimate diving watch in those days. 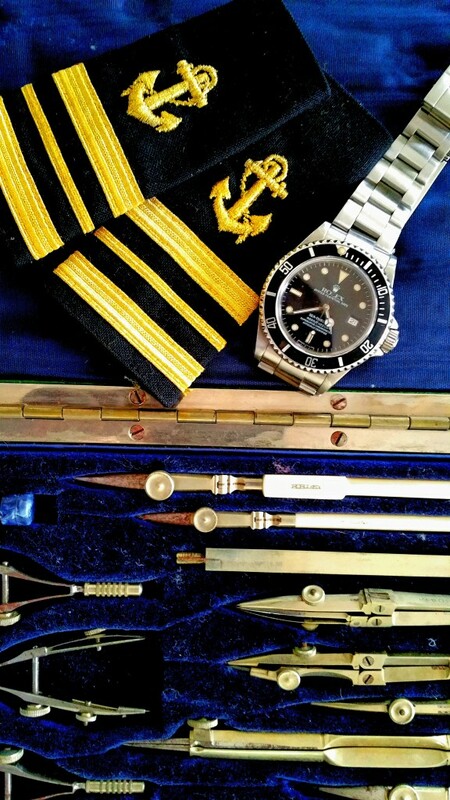 The watch any Commanding officer in any modern and operational navy would have worn. Especially if he served at the pleasure of Her Royal Highness, Her Majesty The Queen of England for her most clandestine and lethal tactical force. The British Secret Service. MI6. Flemming died in 1964. 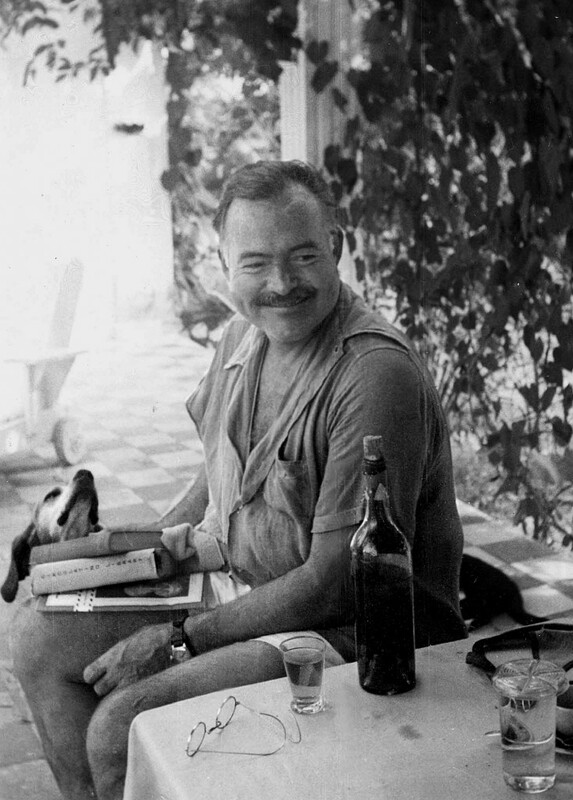 From one too many martinis at his parties (A beautiful life extremely overdone) held at Golden Eye, his villa on the island of Jamaica. 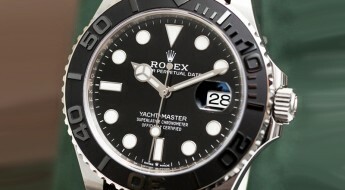 He died three years before Rolex brought the Sea-Dweller into the world, otherwise I am almost certain that a scene would have happened when a Bond Film was being produced where Flem says something like Cut Cut Cut…is anyone here in possession of a Rolex Sea-Dwellah by any chance..I mean for goodness sakes gentlemen, Bond needs to wear one, can’t you see? It’s the only watch he should wear! But alas, that never happened. It was the Submariner on the naval NATO G10 strap that won the spotlight. Its big brother, the Sea-Dweller, came almost 2 decades too late. But thank goodness it came. I’m wearing one right now on the same naval NATO G10 strap that Bond wore his Submariner on and the feeling is absolutely remarkable. It has a profound wrist presence, that is emotionally comforting in a very honest and reassuring way. As if it is saying hell or high water. I am here to stay. I am with you. Ride or die. Rain or Shine. I’ll spare you the technical details since there is a good chance you will never need to go as deep as this watch can take you. 4000 feet below sea level, into the abyss. Or need to sit in a decompression chamber after a deep dive, breathing in a mixture of Nitrogen, Helium and Oxygen, while Helium bubbles leak out of the valve on your watch, to prevent it from exploding in your face. And if you do indeed do need to frequent the deep at that depth and decompress, or die from the bends (which by the way, is an excruciatingly painful process) then there is a very good chance you already own one, courtesy of COMEX….or whoever you dive for. For the rest of us, this is the watch that says one thing, and it says it directly to your face. Use me. I am Unbreakable. And it says it in a very serious voice. The message it passes on the wrist is clear. Don’t underestimate me. I do things that you wouldn’t possibly dream of doing, whether it is confidently riding the cuff of a double cuffed shirt, hiding under a charcoal grey suit jacket, ready to be whipped out at any point to provide the time but also say very quickly “don’t mess with me”….to being strapped to a wetsuit somewhere in the Bahamas. This watch says it all. Rugged Nautical Adventure. RNA. Which could also stand for Royal Naval Academy. If there was a watch that could span the entirety of time or very well travel within it, a watch that every great sea dog and master mariner would crave, from Sir Walter Raleigh to First Sea Lord Horatio Nelson to Captain Nemo. Commander of the Nautilus. It would have been this watch. 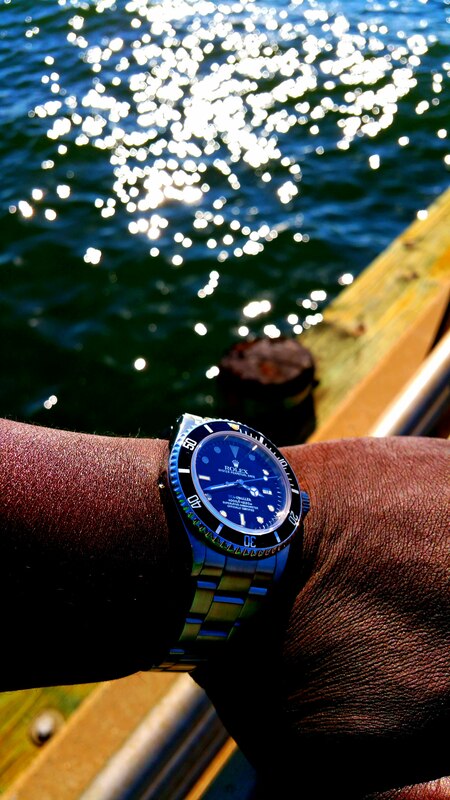 The Sea-Dweller. Jacques Cousteau publicly wore a Blancpain 50 Fathoms….but I can imagine him before a dive in his Bathysphere quietly saying something like Ettienne, can please you go to my cabin and bring me my Sea-Dweller. It’s in the third drawer down on my desk. Could you kindly be quick. I haven’t got all day….The deep sea and all her secrets await and beckon me. Congratulations on your blog launch. This is very interesting stuff. Great, spread the word and let’s get more people interested in talking TIME! Thank you!